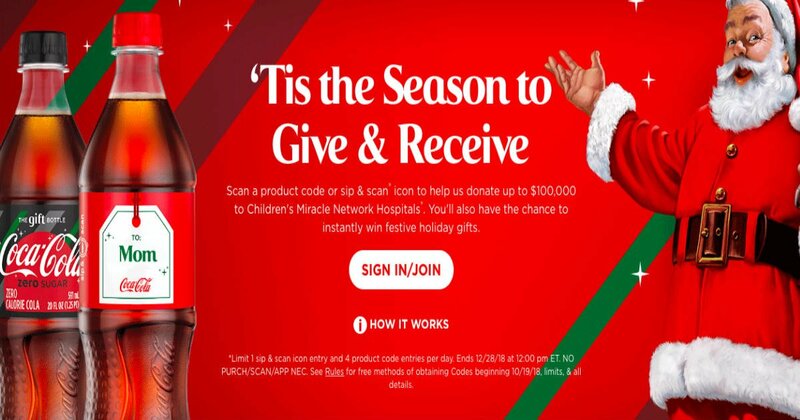 Scan a product code or sip & scan icon to help donate up to $100,000 to Children's Miracle Network Hospitals, and have the chance to instantly win festive holiday gifts! Instant Win Game ends on 12/28/2018 at 12:00 p.m. ET.